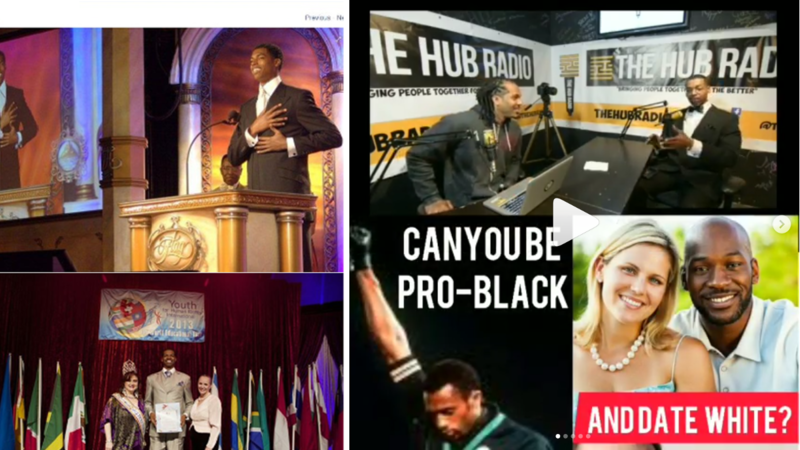 Discussion in 'Nation of Islam and Related Groups' started by CommunicatorIC, Sep 18, 2015. 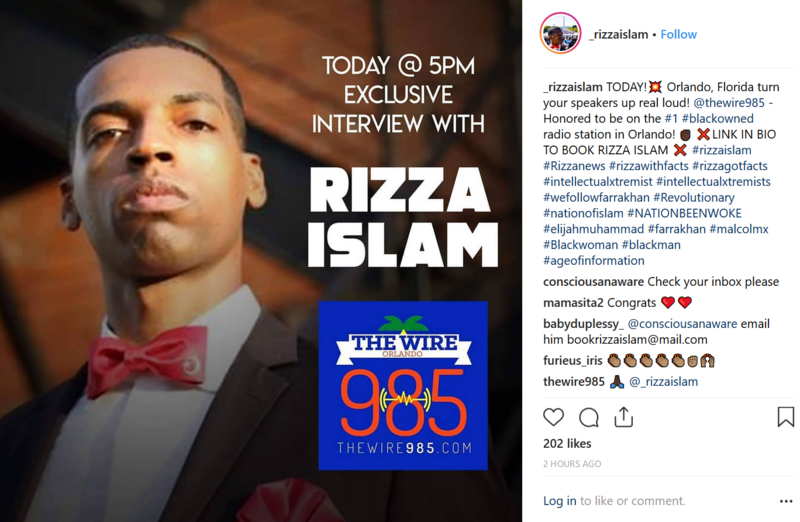 Scientology Youth for Human Rights Award Winner Nation of Islam Brother Rizza Islam will be on 98.5 The Wire radio in Orlando today. Brother Rizza Islam says The Wire is the number one Black owned radio station in Orlando. 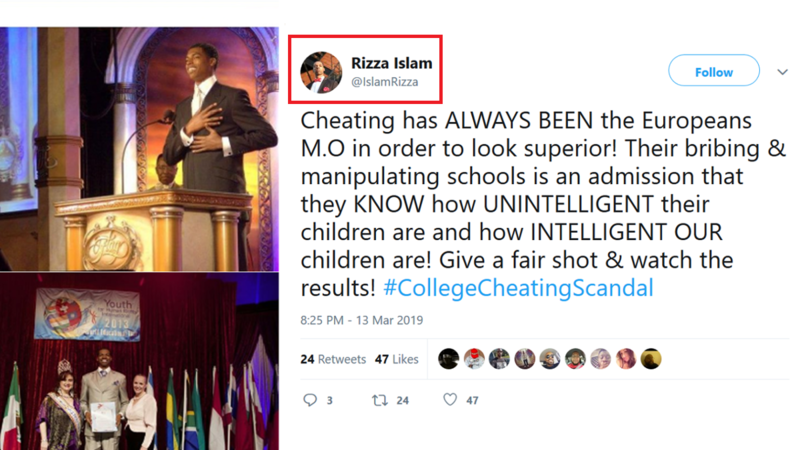 Scientology Youth for Human Rights Award Winner Nation of Islam Brother Rizza Islam addresses the recent college admissions scandal / college admission scam / college cheating scandal. How many PhD's does Professor Rizza hold? Yeah, Rizz, let's watch the results indeed. Why then have schools (for decades) reduced their admission standards for blacks? Why the need for affirmative action? There are stupid white kids just like there are stupid black kids. Cash is sometimes the elite's way of working affirmative action for their kids. 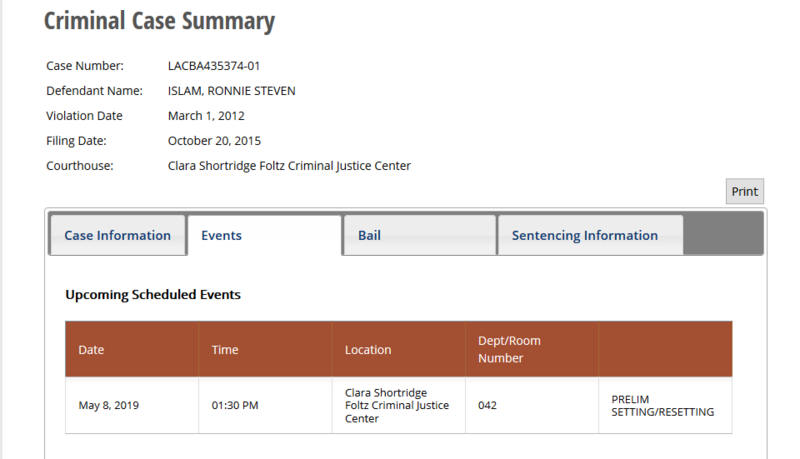 Rizza should be more concerned with his cheating of the insurance scams he was behind. 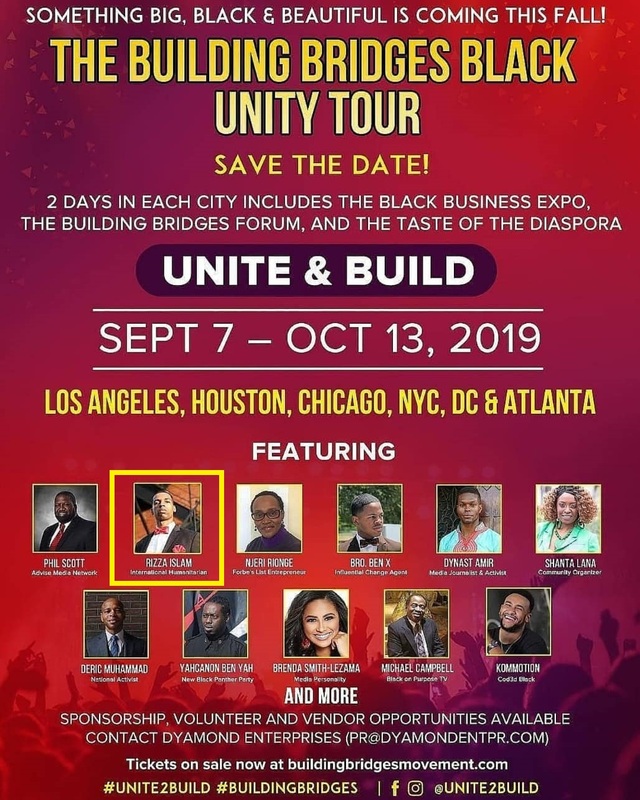 September 7 - October 13, 2019: Scientology Youth for Human Rights Award Winner and "International Humanitarian" Rizza Islam is taking part in a Unity Tour visiting Los Angeles, Houston, Chicago, New York City, Washington, D.C., and Atlanta. This hatred of Western Civilization is palpable. Being raised on a diet consisting exclusively of an assortment of the toxic conspiracy theories of Scientology and the NOI, this young man had no chance of emerging other than profoundly warped. Kinda stupid to focus on homosexuals when abortion is wholesale devastation...but it is interesting that the group that supports abortion also supports normalizing homosexuality. 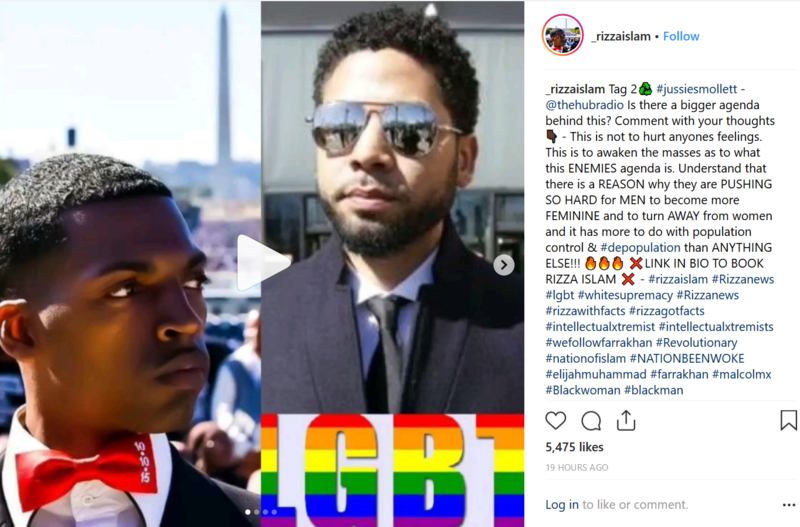 To be fair, Brother Rizza Islam also opposes abortion in the Black community. 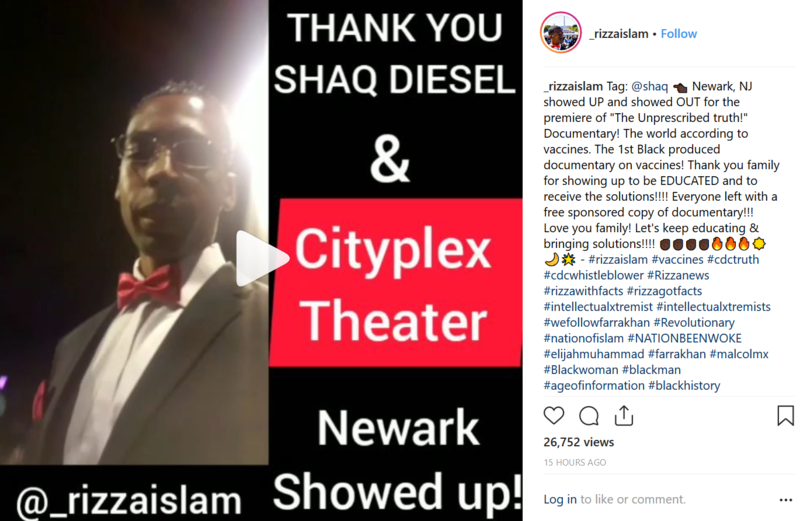 He sees all of it -- i.e., abortion, homosexuality, vaccines -- as part of the same plot to depopulate the Black community and maintain White supremacy. He has, for example, attacked Margaret Sanger for her alleged views on Black people and her alleged attempt to control the size of the Black population. 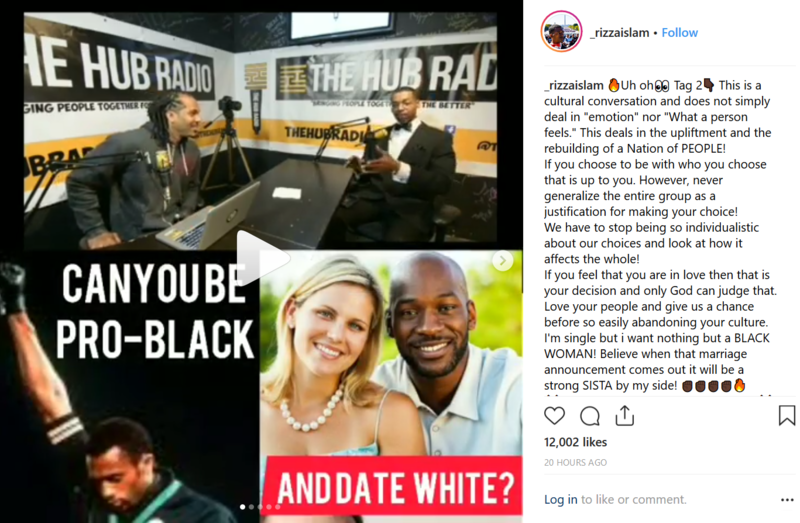 Scientology Youth for Human Rights Award Winner Nation of Islam Brother Rizza Islam says a Black person cannot be pro-Black and "date White." Host: "Can you be pro-Black and date White?" Brother Rizza Islam: "No. We're going to say, we're going to to be real clear about this." 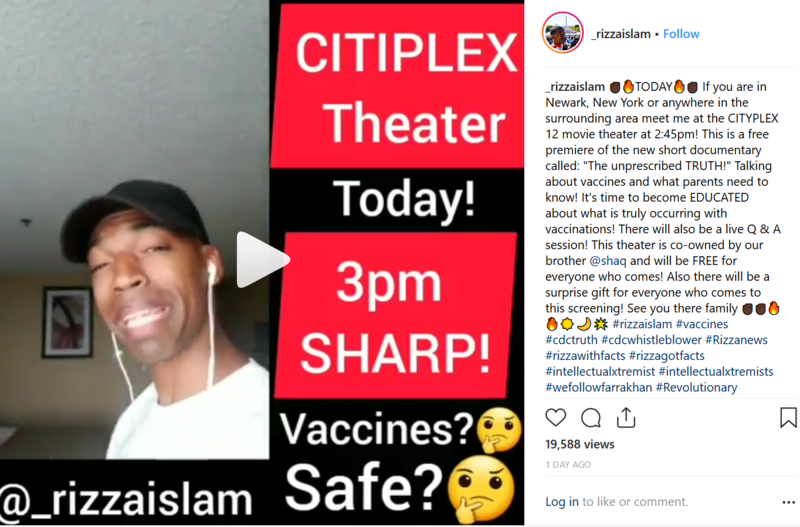 Rizza Islams Scientology connection gets called out. 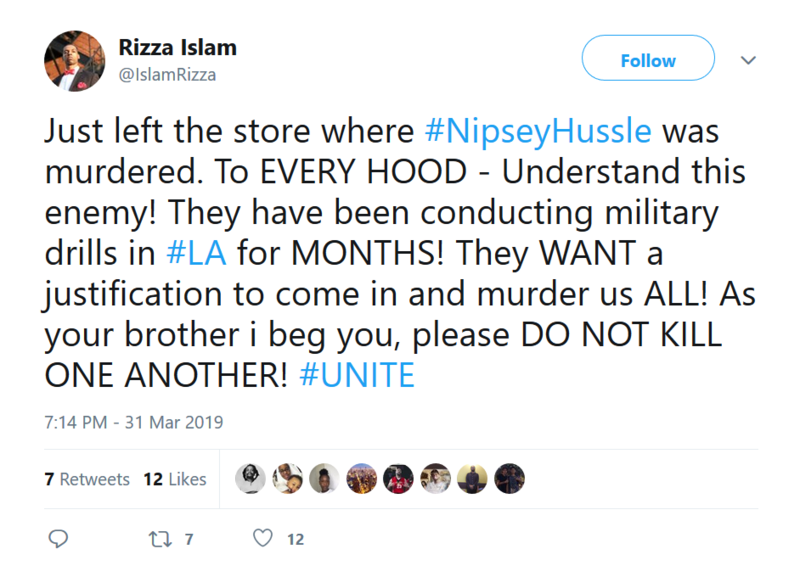 Last week, during a candlelight vigil for the late, great Nipsey Hussle, a stampede broke out, injuring several attendees, after a loud noise some people referred to as gunshots startled the crowd. Although police said they found no evidence of a shooting at the time, they have now seemingly confirmed that the sound was gunshots and are looking into the matter more seriously. According to TMZ, the LAPD has issued a search warrant for the Marathon store’s surveillance tapes for more information on what it believes was a murder attempt. Rizza published a video on his version of events..
the video is highly speculative on his part.. in true Rizza fashion he suggests a conspiracy.. I think the cases have until june 8th 2019 to finish all this BS.. and go to trial..
his Brother has several too. everyone got a setting resetting on the last hearing..
the three women have had two. 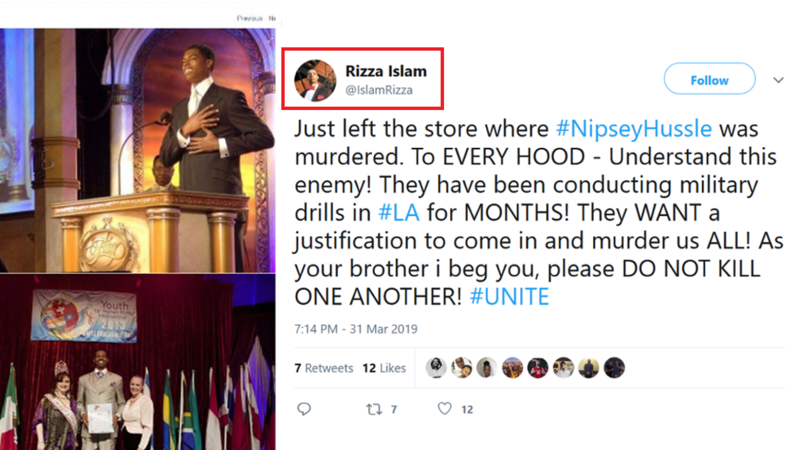 in true Rizza Fashion claims it was a Military hit on Nipsy Hustle..
Scientology Youth For Human Rights Award Winner Nation of Islam Brother Rizza Islam presents "The Unprescribed Truth!" documentary. "Talking about vaccines and what parents need to know! It's time to become EDUCATED about what is truly occurring with vaccinations!" Please go to the links for the videos. 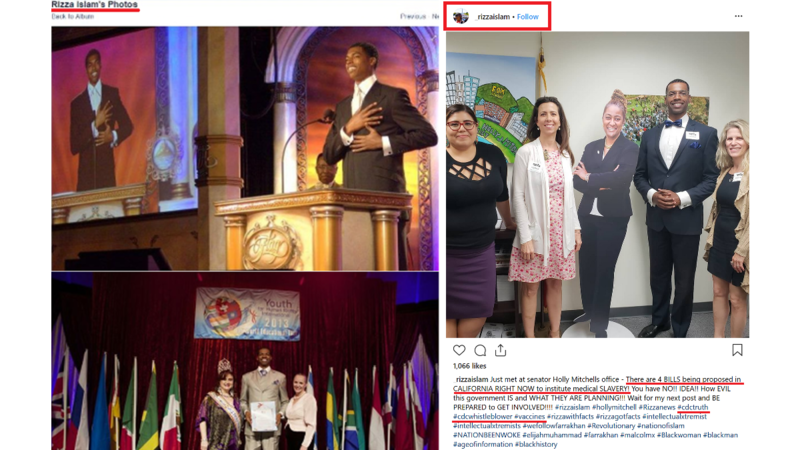 It appears Scientology Youth for Human Rights Award Winner Nation of Islam Brother Rizza Islam may have conferred with California State Senator Holly Mitchell on the issue of mandatory vaccinations and "medical slavery." He says there was a meeting at her office. It appears he met with her staff at the very least. The Los Angeles County Board of Supervisors is very powerful. Further, there are only five supervisors, and each supervisor represents more than two million people. Ms. Silvers said there’s already an effort to recall Sen. Pan and a recall of Senator Holly Mitchell, who backed SB277, was expected to begin at press time. 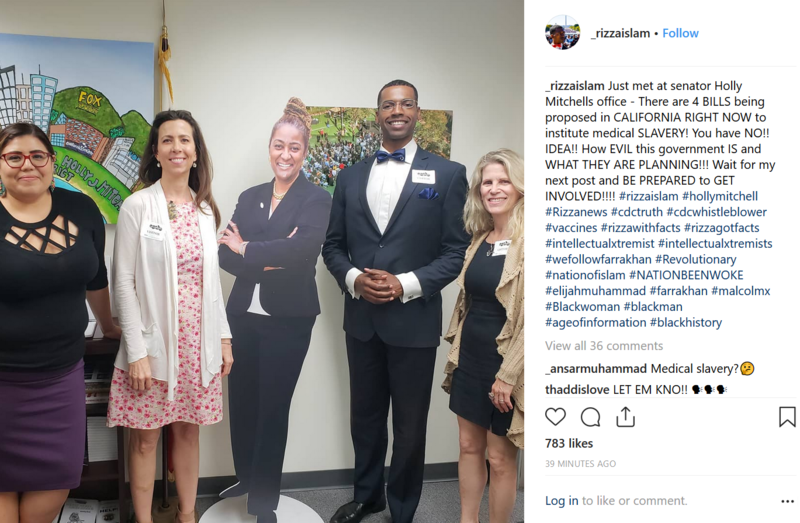 SB277 was the California Senate Bill that removed personal belief exemptions to vaccination requirements for entry to private or public elementary or secondary schools in California.